The section question regarding Legend of Zelda: Breath of the Wild comes from a reader on twitter. It is a very simple one. 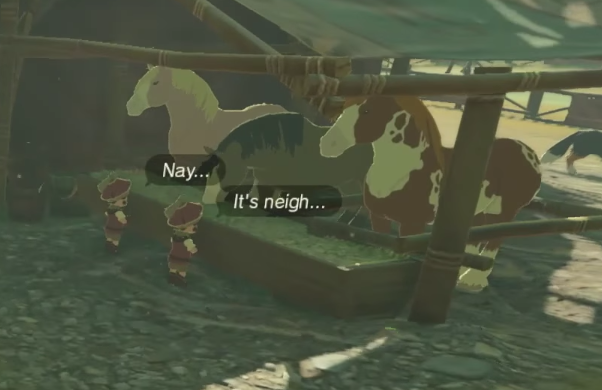 “What do the two boys (pictured above) say in Japanese?” They are found at the Dueling Peaks stable during the day, for reference.